‘The shelf life of a classical original is forever’, a wise old friend once told me. ‘Form is temporary but class is permanent’ is a phrase heard in the sporting world. ‘A Classic’ is as defined by The Oxford dictionary. ‘Judged over a period of time to be of the highest quality and outstanding of its kind’. Antique or Vintage style rings are precious throwbacks to the past that have withstood the passing of time and their beauty and style charm us to this very day. Designs popular from century’s past still adorn the fingers of many ladies across the globe. These beautiful designs represent Eras of times past whether it be filigree from the Victoria Era or the quirky individuality vivid lines of the Art deco period. These classic designs live on in our hearts and memories invoking a feeling of charm and class. They are indeed heirlooms in the making oozing with legacy and heritage. Vintage Rings (or often called Antique style rings) differ slightly to Art deco Style rings. Vintage/Antique rings were popular in the 1900’s particular the Victorian Era. Art Deco rings typically held gemstones rather than diamonds (we make both). Vintage/Antique rings typically have halos and side-stones. 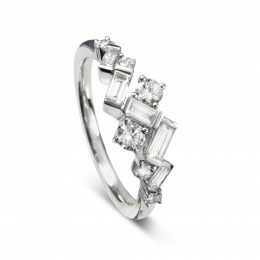 Art Deco rings are symmetrical and have acute angles and straight lines. Antique/vintage rings typically have mil-grain detail, filigree and floral designs. 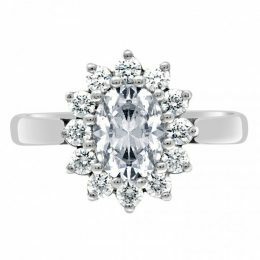 Although you might be tempted to search out an original Antique or Art deco ring we would advise you to instead search out the style that you like and have it reproduced using modern methods and technology. 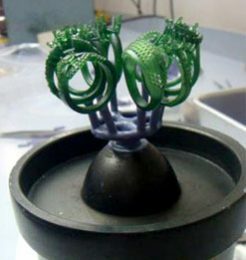 The jewellery industry has moved so fast that even in the past 5 years we have seen many changes to manufacturing and casting techniques. The technology in producing rings these days is so much better then in the past. Techniques and production of precious metals have come a long way and the chances of a ring having porosity (air bubbles) or not being of true fineness e.g 18kt are non-existent with todays assay tests. The Alloys and knowledge of metals today is better than 100 years ago and we have a better understanding of mixing metals and detrimental effects to the skin with metals such as Nickel for example. The cuts of stones today are designed and polished to a much higher standard and come certified to let the buyer know what they are paying for. Stones today are polished to perfection and almost any stone with an Excellent Cut grade and Si or above clarity will insure maximum sparkle. Vintage and Art Deco Rings At Loyes Diamonds. 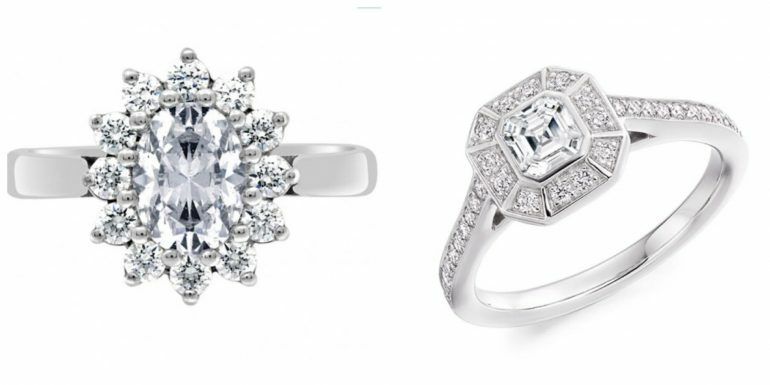 If you are considering a vintage or art deco style ring, we would love to hear from you. Not only do we have many styles to choose from, but we also can help you design a ring from idea or pictures that you bring to us. We use our own metals in the casting process and are confident that it is the highest quality you will find available in Ireland today. All of our stones whether it be diamonds or another Gem are hand chosen and examined and we use the best quality available. We are confident that you will be blown away with the resulting ring. 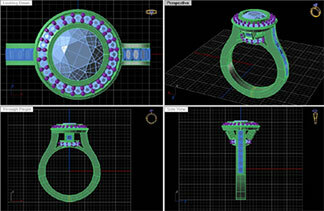 Make an appointment to come in and discuss with us the ring of your dreams and we will make it a reality. Call us today on 01 90 60 700 or email us at info@loyesdiamonds.ie or fill in our contact form here.